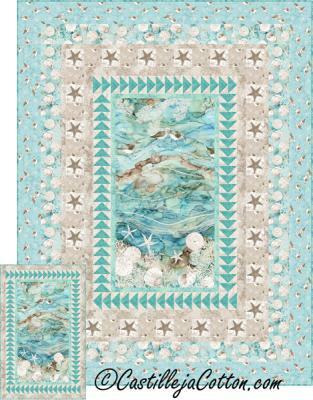 Easy to make using a large motif fabric with geese borders and starfish borders. Includes a wall quilt size. Fabric shown is Northcott Fabrics White Sands. Wall Hanging 36" x 56"